The Koutammakou, a cultural landscape in north-eastern Togo extending into neighbouring Benin, is home to the Batammariba people whose remarkable Takienta mud tower-houses have come to be seen as a symbol of Togo. They are also a reflection of social structure and are known to blend uniquely with the natural environment of farmland and forest. Many of the buildings are two storeys high and those with granaries feature an almost spherical form above a cylindrical base. 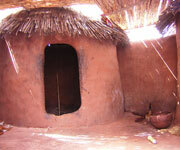 Some of the buildings have flat roofs, others have conical thatched roofs. They are grouped in villages, which also include ceremonial spaces, springs, rocks and sites reserved for initiation ceremonies. The word butabu describes a process of moistening earth with water in preparation for building. Whether modelled by hand or built from mud-brick, the variety of architectural forms found throughout West Africa illustrates the myriad ways in which the simple properties of earth and water have come together to create works of striking artistic sophistication and interest. Not only do the sun's rays bathe the earthen core of a building, making it hard and resilient, but they also continually redefine the structure's surface and interior features with patterns of light and shade as they pass overhead through the course of each day. Many of these edifices, especially the tall ones, boast rows of timbers bristling from their exteriors, on which the sun's shadows play particularly dramatically. These spiky elements serve both to solidify the structure, and to help alleviate moisture, but also to offer supportive scaffolding during yearly plastering. Building roofs, which have wooden or pottery drain spouts to channel seasonal rains, are made from thatch or earth, the latter either domed or flat. West African earthen architecture collectively challenges the inherent boundaries between built form and sculpture in their visual power and unique play of texture, geometry, light, and shade. These buildings incorporate the vital attributes of geometrical primacy and boldness that pervade so many of the continent's figural traditions and invite tactility, an element critical to appreciation. Centuries of upheaval, which led to the massive uprooting of local populations through war, migrations, and slavery, also have left a mark on the region's architecture, and in part, as a result, this architecture also expresses vital social and political concerns. On the interior, multiple levels of space often are articulated through a combination of pole and beam flooring/terrace articulation supported by the adjacent earthen joining walls. Upper levels, which are reached by earthen steps or ladders, serve a variety of functions as both open-air spaces and enclosed chambers. Beyond their sheer architectural value, West African buildings of earth are often imbued with potent symbolism. Cones of the same material, which historically have served as shrines in this area dedicated to deities, ancestors, wild game, and an array of spirit powers, often punctuate a portal, either at ground level or along the roofline. In addition to the Takienta mud-tower houses, the Koutammakou landscape is also marked by its farmland and forest. 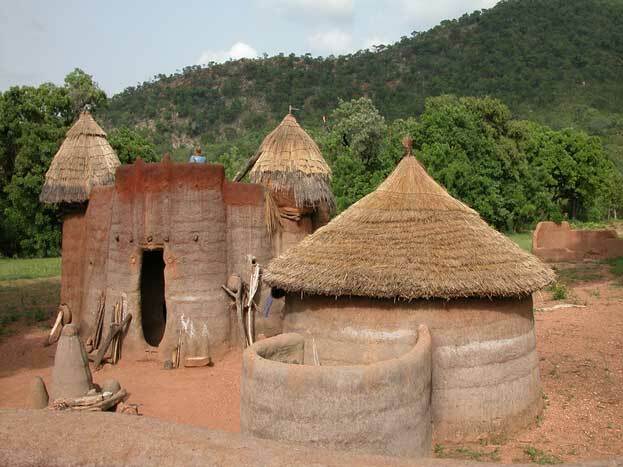 There is a great value in the 'associations between people and landscape' in the hilly landscape of the Togo-Benin border, where nature is strongly associated with the rituals and beliefs of society. The Koutammakou is an outstanding example of a system of traditional settlement that is still living and dynamic and subject to traditional and sustainable systems and practices, and which reflects the singular culture of the Batammariba, particularly the Takienta tower houses. It is eloquent testimony to the strength of spiritual association between people and landscape, as manifested in the harmony between the Batammariba and their natural surroundings. Browse All UNESCO World Heritage Sites in Togo. The original UNESCO inscription Here!!! Is UAE Duplicating History Artificially?